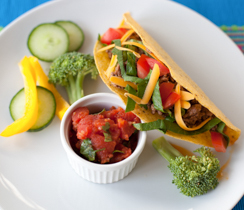 Taco night is a fun, fresh, and laid-back family meal. It’s a great way to introduce new veggies too. 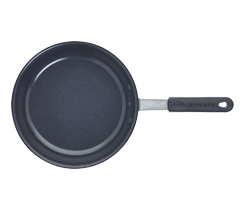 In Fry Pan, brown beef over medium heat. 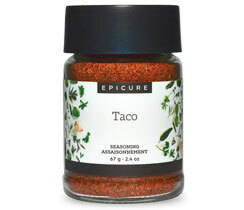 In a measuring cup, mix Taco Seasoning with 1/2 cup (125 ml) water, and add to pan. Simmer with beef until mixture thickens, approximately 5 minutes. Spoon filling into taco shells, and top with lettuce, cheese, and tomatoes. 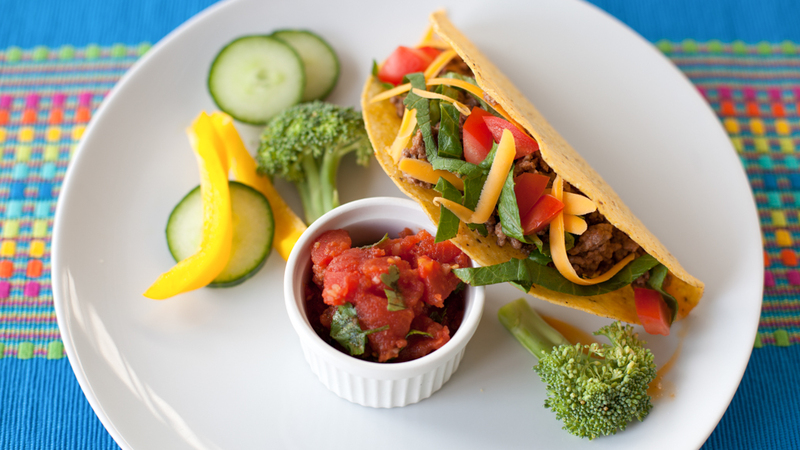 Top Toppers: Tacos are an ideal vehicle for fresh veg. Mix it up with unusual toppers, such as grated carrots, diced beets, chopped broccoli, or grilled peppers, and some saucy dollops: try prepared Salsa and prepared Guacamole. Serve with a veggie platter and prepared Dip.